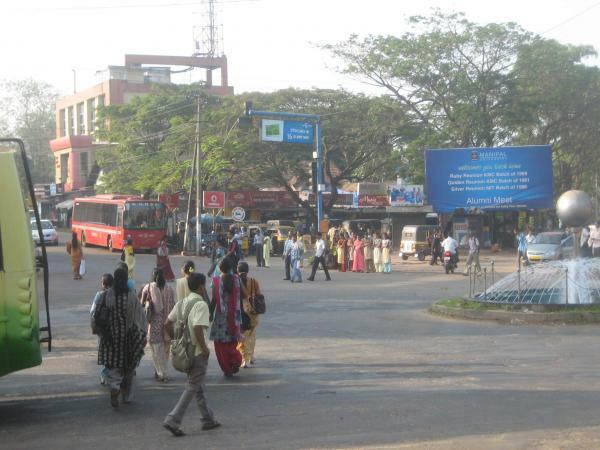 Tigers once roamed where buses and auto rickshaws now roar in Manipal, a university town in southern India. 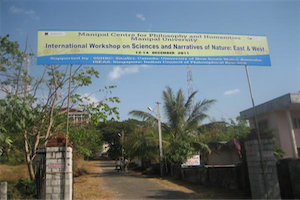 In December 2011 Manipal University’s Centre for Philosophy and Humanities hosted an international workshop on “Sciences and Narratives of Nature: East & West”. The workshop was co-sponsored by Situating Science, NiCHE’s sister knowledge cluster, and extended a long-term collaboration between Canadian science studies scholars and their Asian colleagues. Since the workshop was intended to focus, in part, on ideas about nature and history, NiCHE was invited to send a representative. I, a novice to India, was happy to play that role. It was a fabulous experience. The workshop hosts were gracious, generous and well-organized, and the participants, mainly from India, Canada, and Australia, presented wide-ranging perspectives on the history and social studies of science and nature. The workshop, and the experience of India itself, also suggested many opportunities for environmental historians to connect with science studies scholars and with India’s complex environmental history and contemporary politics. Workshop presentations provided overviews of topics familiar to historians of science, such as ancient theories of generation, the scientific revolution, the history of mathematics, the relation between science and materialism, and Indian medical traditions. Some participants surveyed current work on aspects of contemporary social studies of science: scientific images, the political economy of pharmaceutical research, and the relations between humans and non-humans. Other talks examined the historical relations between knowledge in Asia and the West. In my own paper, I discussed the prospects for linking environmental history and the history of science, in the context of the dual identities of science as situated and mobile. The presentations were interesting. But they also hinted at the challenges involved in forming collaborations between environmental historians and historians of science. While environmental historians, particularly in Canada, emphasize the nineteenth and twentieth centuries, this workshop suggested that historians of science, including those in India, remain more interested in earlier periods. They also tend to focus on intellectual and social developments, but less so on nature and the local landscapes in which these developments take place. But as I also learned during my visit, there is much that Canadian environmental historians can learn from their Indian colleagues. The history of modern India is written on its landscape: managed and exploited forests, rivers reshaped by hundreds of dams and canals, mechanized and genetically manipulated agriculture, and protected areas set aside for tigers and other charismatic species, often at the expense of local communities. Many of these transformations began in the colonial era, but since independence have been reinforced by the imperatives of industrialization, centralized resource management, and conservation biology. These transformations have affected hundreds of millions of Indians: countless dispossessed forest-dwellers, perhaps 50 million people displaced by dams and reservoirs, and millions of farmers forced off the land. Undoubtedly these impacts help explain the political bite of recent work in Indian environmental history. Even today, the environment remains an inescapable fact of Indian political life. During my few days in India I accumulated a fat file of news clippings. In Maharashtra, farmers have too little water for their crops. Farmers elsewhere express frustration with ignorant agriculture officials. Scientists debate conflicting assessments of tiger poaching in Karnataka. Legislators protest inaction on drinking water shortages. Activists and residents protest coal power projects (because of the land they require), and hydro power projects (because of the land they flood). In Durban, Indian diplomats oppose a binding climate action treaty. State officials call for a national river policy to resolve water conflicts. Naturalists and activists debate the future of Kudremukh National Park, and the eviction of those who dwell there. Residents protest a polluting fishmeal plant near Manipal. These clippings, and work by Indian scholars, also taught me that in India, science is itself an active site of controversy. Scientific expertise – in forest management, water engineering, agricultural science and wildlife biology – has been a driving force in Indian environmental history. But in recent years, people’s science movements have used local knowledge to challenge expertise, and to map out new ways to manage forests and water, or provide health care and urban services. Even more so than in Canada, it’s clear that in India, science is intensely political. Indian environmental history, environmental affairs, and science politics presents many opportunities for comparisons with Canada. Beyond specific issues, and the obvious differences in contexts, Canadian and Indian history and current affairs share several themes: the lingering influence of colonial ideas and institutions; the exercise of state authority over landscapes (whether by building dams or designating parks); the apparently inevitable conflicts between science-based resource management and local people; and the intractable disputes that accompany industrialization. The workshop ended by affirming the value of stronger ties between Canadian and Indian science and environment scholars. As I learned during my visit, the parallels (and differences) between our national environmental histories, and the important scholarly and practical work being done in India on science and the environment, also suggest many opportunities for NiCHE folks. Canadian environmental historians could certainly benefit from building their own passage to India.